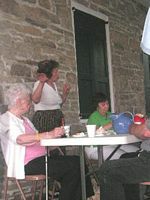 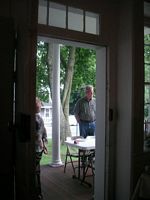 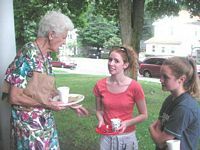 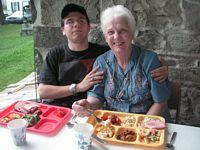 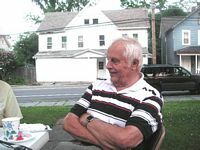 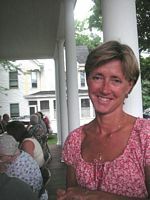 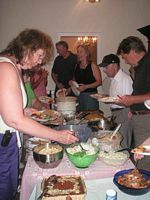 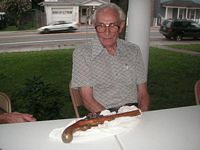 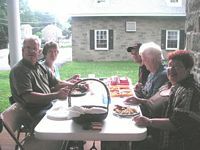 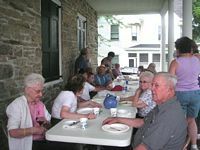 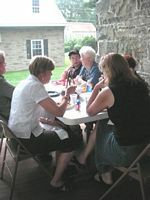 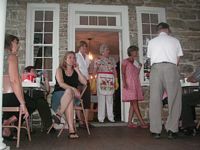 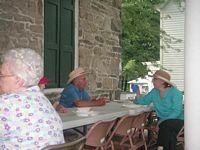 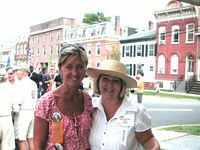 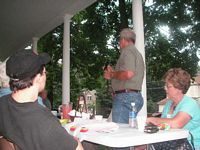 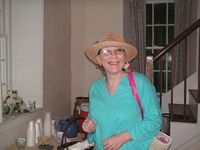 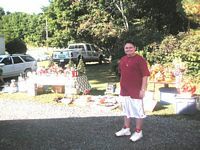 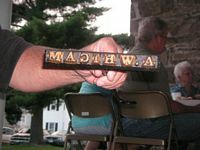 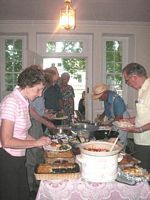 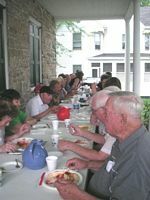 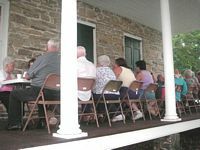 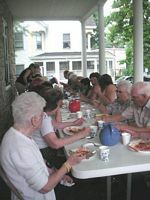 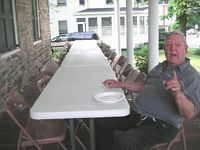 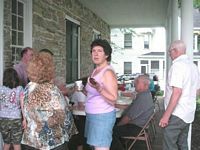 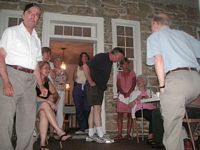 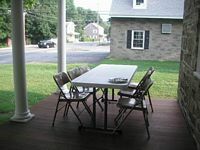 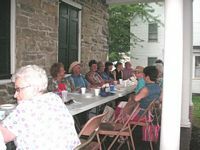 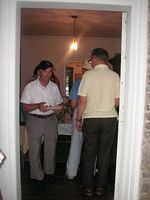 The Annual Yard Sale was held on September 29, 2007 at the Jacob Walden House...a fun day for vendors and shoppers. 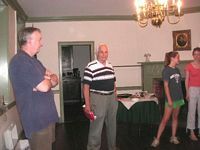 Gary Ferguson of the Bannerman's Island Trust, visited the Jacob Walden House on September 19, 2007 and presented the history of Bannerman's Island. 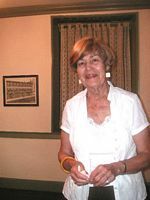 We were also joined by Evelyn Owen Palen, a former resident of the Island. 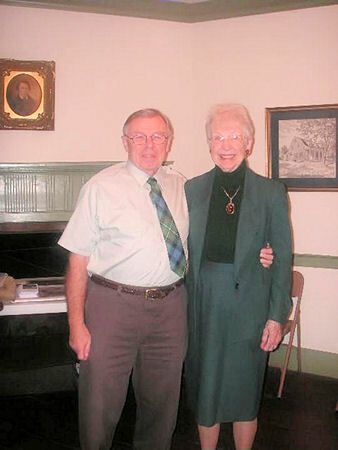 Historical Society President, Barbara Imbasciani presented Gary Ferguson of the Bannerman Island Trust with a 1911 hardcover copy of the Bannerman Catalog from our Archive. 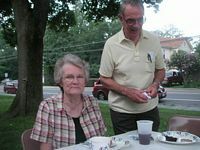 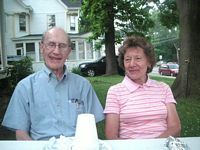 Pictured are guests, Speaker, Gary Ferguson (l) and Evelyn Owen Palen (r). 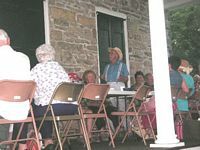 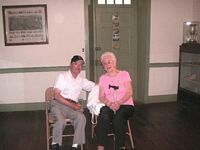 A Puppet Show by Rick Stevens was followed by an Ice Cream Social at the Walden House, Sunday, August 12, 2007... a fun event for kids of all ages! 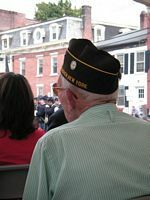 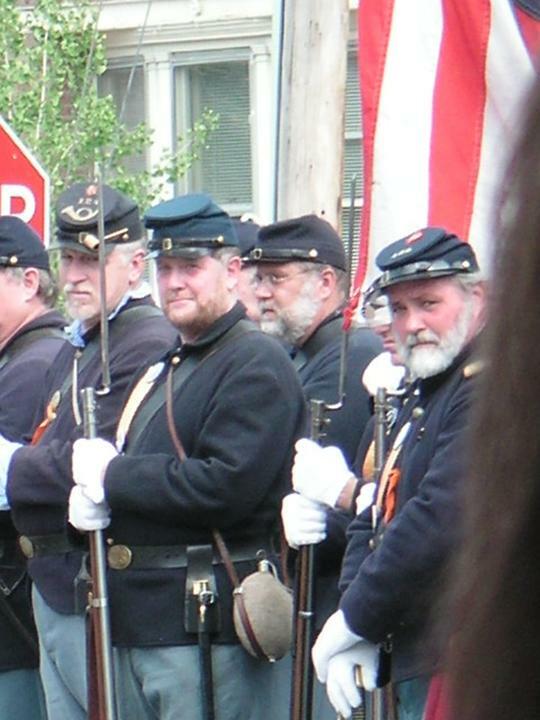 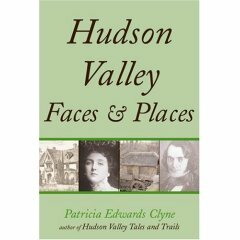 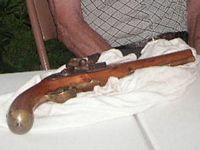 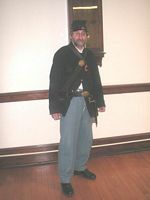 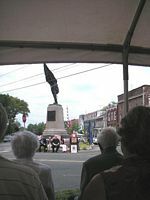 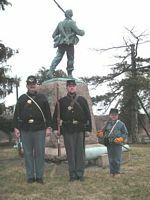 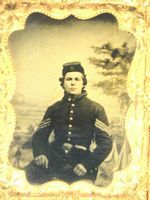 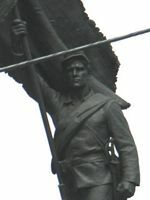 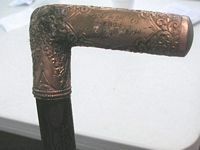 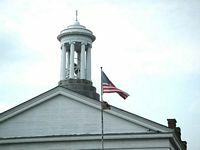 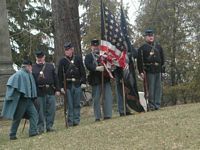 Local History Day April 29th--focused on the Civil War with a program at the Walden Municipal Building. 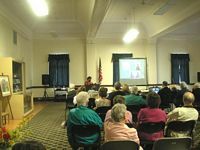 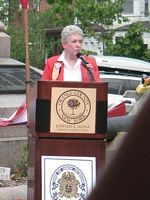 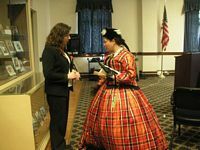 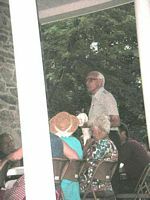 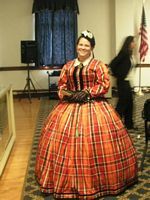 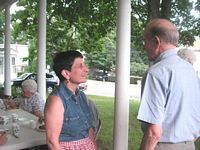 Mark Morreale, Professor at Marist College presented a Civil War Program; Walden resident Michele Neusch discussed women's clothing of the era with a slide presentation. 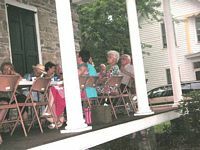 More Photos of the Spring Tea! 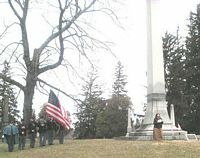 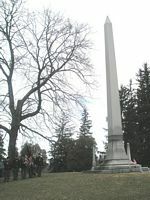 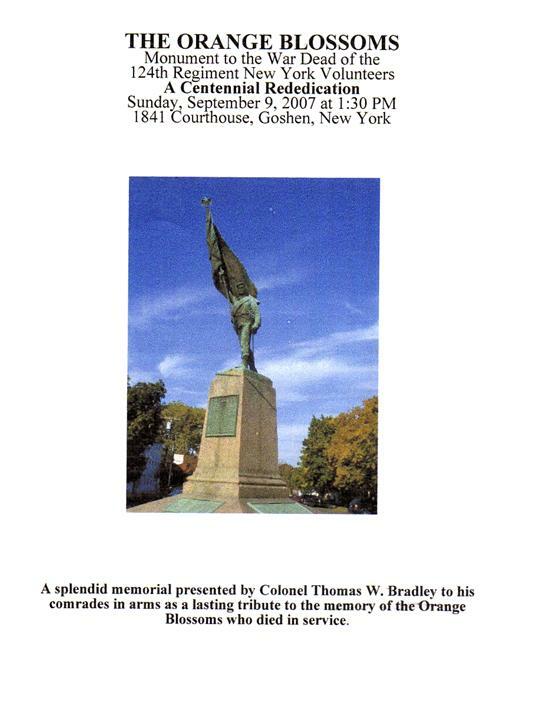 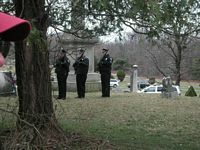 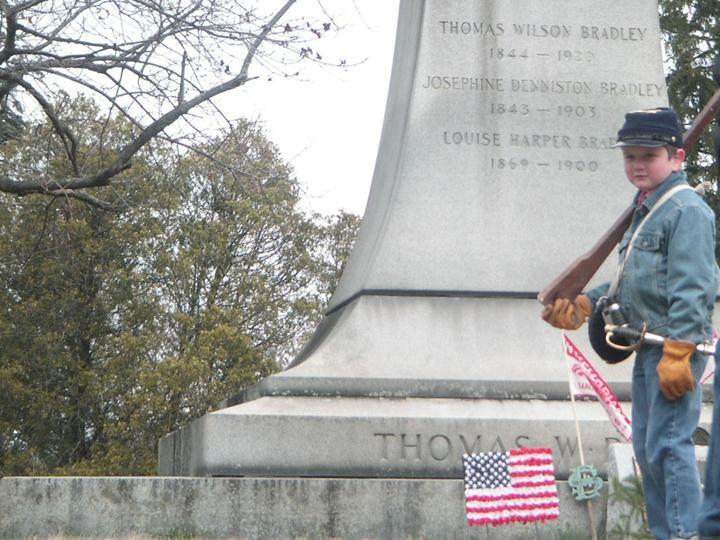 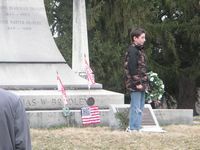 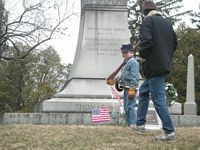 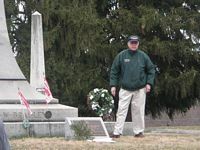 Observance at Wallkill Valley Cemetery--April 6, 2007, Thomas W. Bradley, a village benefactor's birthday.